A Series of Unfortunate Events Season 2: There’s an official release date! Netflix has confirmed the arrival of ASoUE s2. Although, we indeed were aware of the fact that the gothic fiction picked from the best selling children’s book would be launching with at least 10 more episodes. However, it is likely to be good to get a confirmed news. ASoUE is an adaptation series from thirteen children’s novels by Lemony Snicket (Daniel Handler). HarperCollins and Egmont UK published the series between September 30, 1999, and October 14, 2006. The black comedy-drama gathered significant popularity among the others by the fans. The series falls into the category of children’s fiction in context with its classification. Though, other classified categories under which the serie falls include gothic fiction, absurdist fiction, mystery, comedy-drama, and steampunk. Read out the article to explore everything about Season 2 including trailer, release date, and other stuff. The more exciting news is awaiting! Netflix has confirmed the arrival of a brand new season. Along with that, there is a teaser out featuring the first footage of ASoUE second installment. Again, the viewers will get to catch up with Neal Patrick Harris’s Count Olaf, chatting with the camera just like a deranged and avaricious Ferris Bueller. He ominously gave hints that he has prepared some cruel calamities for the Baudelaire children. In addition, the original A Series of Unfortunate Events season 2 statement included a video announcement, and a website which is totally devoted to the prolonged news and updates. The website comprises of an amusing letter which not just clarifies the meaning of the word “binge”, but also stated that the set building team, trauma specialists people and costume designers are cracking into the action theme for the brand new episodes. Don’t miss the trailer for Season 2. Hope the audience enjoyed watching the first look at the next installment. Unmask the brand new updates revealed! The fans might be waiting for so long to catch up with the renewed season. The wait has come to an end. There is an official confirmation regarding the release date of the new installment. In regard with this, the season 2 release date has also been revealed by Netflix. It will premiere on March 30, 2018. Netflix has released the first look photos for the second season of the series. In these pictures, we can see the return of some of the similar faces. 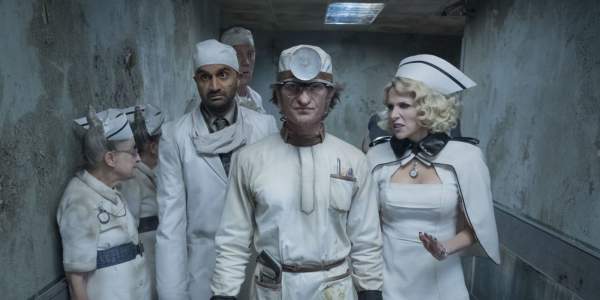 The pics features Lucy Punch as Esme Squalor, the city’s sixth most significant financial advisor, who joins the series in the form of a new antagonist and evidently a frenemy to Neil Patrick Harris’s Count Olaf. Certainly, as the photos reveal, Olaf and Esme will be rousing troubles for the embattled Baudelaire orphans on diversified fronts, comprising of a impersonate donning seizure of the Heimlic hospital, which is eventually taking occurrence in Episode 7 and Episode 8 picked from Snicket’s novel series “The Hostile Hospital”. More updates are yet to be out for the upcoming installment. Stick around for the same. Sara Rue (Bones, The Ring) in the role of a Librarian. Lucy Punch (Into the Woods, Hot Fuzz) as Esme Squalor. Kitana Turnbull (The Bachelors, Supergirl) assigned with the role of Carmelita Spats. Nathan Fillion (Castle, Firefly) appearing as Jacques Snicket. Roger Bart (Graves, Episodes) will be playing the part of a Vice-Principal named Nero. Season1 was well liked by the viewers. New season explores new events and characters. Many similar faces were revealed in the teaser for Season 2. In addition to that, the new installment will be launching with the entry of new cast members. More renewals and new comings are still to be discovered. In a conversation with Daniel Handler (aka Lemony Snicker himself) hinted Entertainment Weekly about the confirmation that he and the other writers of the series had started the work for the upcoming installment before the release of Season 1. That’s an amazing news! It has come into the light that the second season will have 10 episodes for the next 5 books. The alterations could be possible thereof. Are you excited for the season 2? Share your thoughts in the comment box below. We’ll update the page as soon as we get to hear more. For more updates and news, stay tuned to TheReporterTimes!